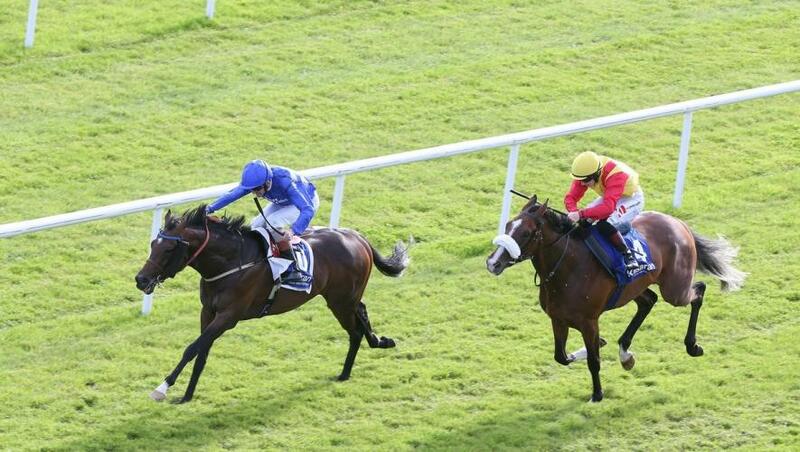 Twilight Payment finished runner-up in the two-mile G3 Loughbrown Stakes at Naas, Ireland, on Sunday, 30 September. The five-year-old son of Teofilo, who won the same contest in 2016 when it was run as a Listed race at the Curragh, broke from the outside eight stall under Kevin Manning and came through to race in second as Zabriskie took them along. Twilight Payment moved up to lead after passing the half-mile pole and ran on gamely. He was headed just inside the final furlong by the winner Cypress Creek, whose time came to 3m 32.19s, and beaten two and three quarter lengths, just holding onto second by a neck from Falcon Eight. Trainer Jim Bolger commented: “Twilight Payment ran his usual good race and was beaten by an improving three-year-old.